With a worldwide presence, KPMG continues to build on our member firms' successes thanks to clear vision, rigorously maintained values and, above all, its people. 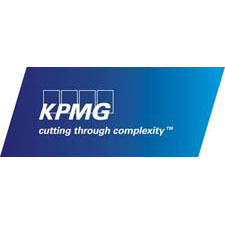 KPMG provides audit, tax & advisory services. We work closely with our clients, helping them to mitigate risks and grasp opportunities. We will build our reputation as the best firm to work with by ensuring that our people, our clients and our communities achieve their full potential. We encourage our people to make a sustainable difference for clients, communities and firms, while simultaneously ensuring that everyone has access to the knowledge and skills they need to be the most relevant in the market.